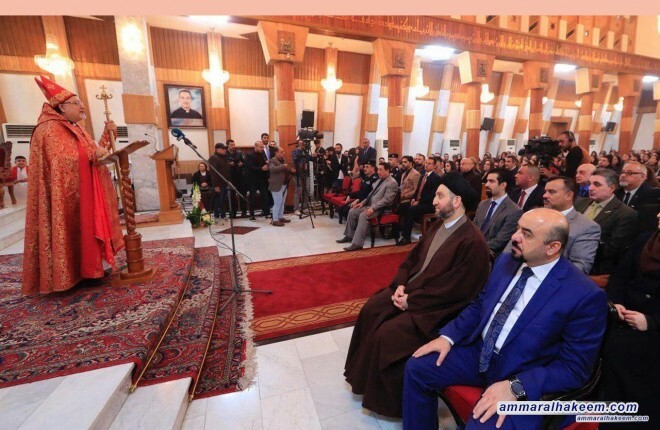 Head of the Reform and Reconstruction Alliance, Sayyid Ammar al-Hakim, attended the Holy Mass at Church of Syda Nejat Syriac Catholic in Karrada, Baghdad on Monday 24/12/2018, and stressed the importance of coexistence and safeguarding Iraqi diversity, emphasized love of Iraq and loyalty to all the Iraqi people. 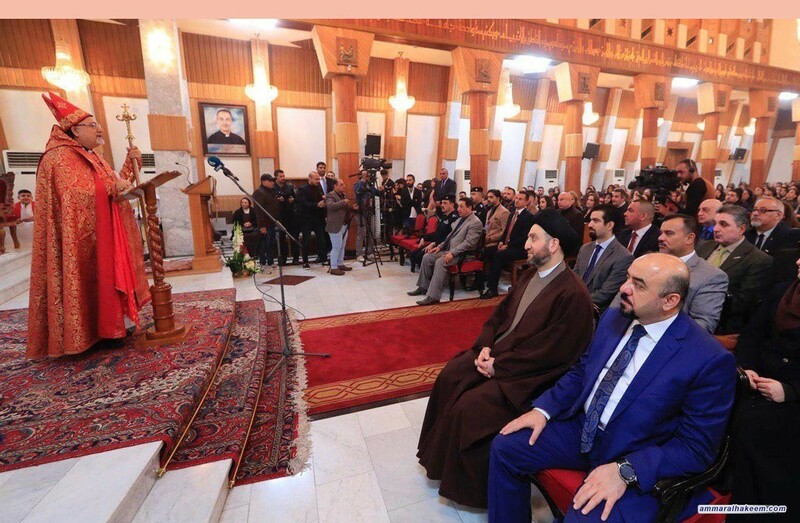 His eminence also stressed the importance of building, reconstruction and provision of services and achieving success in this issue, that will crown previous achievements, praised the messages of hope launched by Christians in Iraq in spite of the suffering from terrorism they had experienced along with other components of Iraqi society. His eminence pointed out the holy mass coincided with the first anniversary of triumph over Daesh and declaration victory, recalled the terrorist attack on the against innocent victims practicing their rites, that presented a model of sacrifice and converting pain to hope out and starting over, and recalled the attack martyrs and security forces that liberated the Church and all of Iraq from terrorism, reiterated his support to Christians during both pleasant and hard times. His eminence referred to Holy Quran vision to Jesus Christ and how Jesus Christ, peace be upon him, is similar to Adam, indicated his great mission that he shouldered starting by defending his Maryam peace be upon them both.